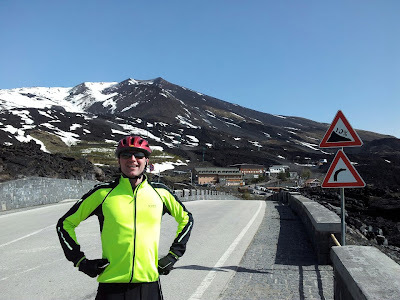 Veloce ® cycling and bike rental company : Things to do in Sicily : climb Etna volcano with guide and high quality road bike rental services. Things to do in Sicily : climb Etna volcano with guide and high quality road bike rental services. A couple of pictures taken few days ago by our guide during daily cycling excursion to the peak of Etna volcano - Rifugio Sapienza - arranged for our British customer accommodated in Giardini Naxos / Taormina region. 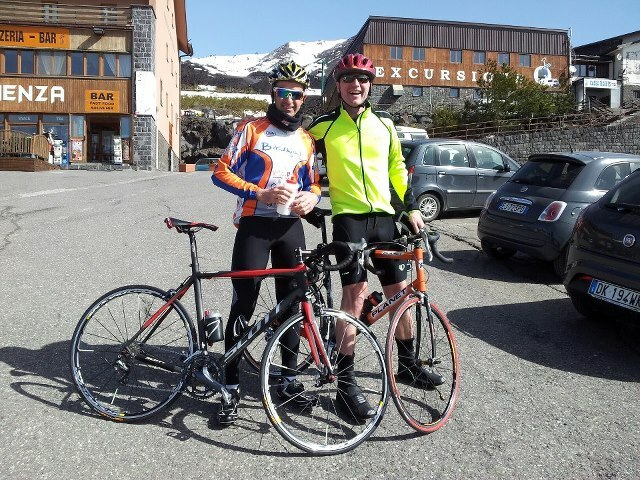 Our company provided guide and high quality road bike rental services.